Web 2.0 video bears potential to be integrated into the learning process in higher education. It is particularly suited to student-centered design of learning where students make a choice of what video they need to use to support their learning. Web 2.0 video can be created and shared freely and openly over the Internet by anyone and its value lies in its content and the way it is authored rather than in its delivery method or the media player used to display it over the web. The main purpose of this paper is to discuss the qualities of Web 2.0 video and offer a conceptual framework for the integration of Web 2.0 video into a university setting, in combination with other sources of knowledge, through the lens of the student experience. Lupshenyuk, D. (2010). What is Web 2.0 Video? Pedagogical Strategy for Infusing Web 2.0 Video in Student Learning. In J. Herrington & C. Montgomerie (Eds. ), Proceedings of ED-MEDIA 2010--World Conference on Educational Multimedia, Hypermedia & Telecommunications (pp. 1369-1373). Toronto, Canada: Association for the Advancement of Computing in Education (AACE). Retrieved April 20, 2019 from https://www.learntechlib.org/primary/p/34814/. Bishop, J. (2009). Pre-service teacher discourses: Authoring selves through multimodal compositions. Digital Culture& Education, 1(1), 31-50. Bruner, J. (1973). The act of discovery. In Beyond the information given: Studies in the psychology of knowing (pp. 401-412). New York, NY: Norton& Company. Burke, S.C., & Snyder, S.L. (2008). 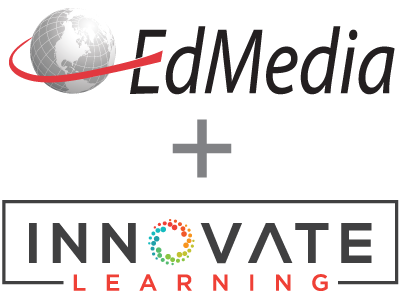 YouTube: An innovative learning resource for college health education courses. International Electronic Journal of Health Education, 11, 39-46. Caladine, R. (2008). Enhancing e-learning with media-rich content and interactions. Hershey, PA: Information Science. Jonassen, D. (1990). Thinking technology: Toward a constructivist view of instructional design. Educational Technology, 30 (9) 32-34. Kulkarni, A. (2007). Content-based image retrieval using associative memories. Proceedings of the 6th WSEAS International Conference on Telecommunications and Informatics (pp. 99-104). Dallas, TX. Leijen, Ä., Lam, I., Wildschut, L., Simons, P.R.-J., & Admiraal, W. (2009). Streaming video to enhance students’ reflection in dance education. Computers& Education, 52, 169-176. Macfadyen, L.P. (2006). In a world of text, is the author king? The revolutionary potential of Wiki (open content) technologies. In F. Sudweeks, H. Hrachovec, and C. Ess (Eds. ), Proceedings Cultural Attitudes Towards Communication and Technology, Murdoch University, Australia, 285-298. PressTapscott, D., & Williams, A.D. (2006). Wikinomics: How mass collaboration changes everything. New York, NY: Portfolio. Trier, J. (2007). “ Cool” engagements with YouTube: Part 1. Journal of Adolescent& Adult Literacy, 50(5), 408412. Ullrich, C., Borau, K., Luo, H., Tan, X., Shen, L., & Shen, R. (2008, April). Why Web 2.0 is good for learning and for research: Principles and prototypes. Paper presented at the International WorldWide Web Conference 2008, Beijing, China. Wu, C.-C., & Kao, H.-C. (2008). Streaming videos in peer assessment to support training pre-service teachers. Educational Technology& Society, 11(1), 45-55.